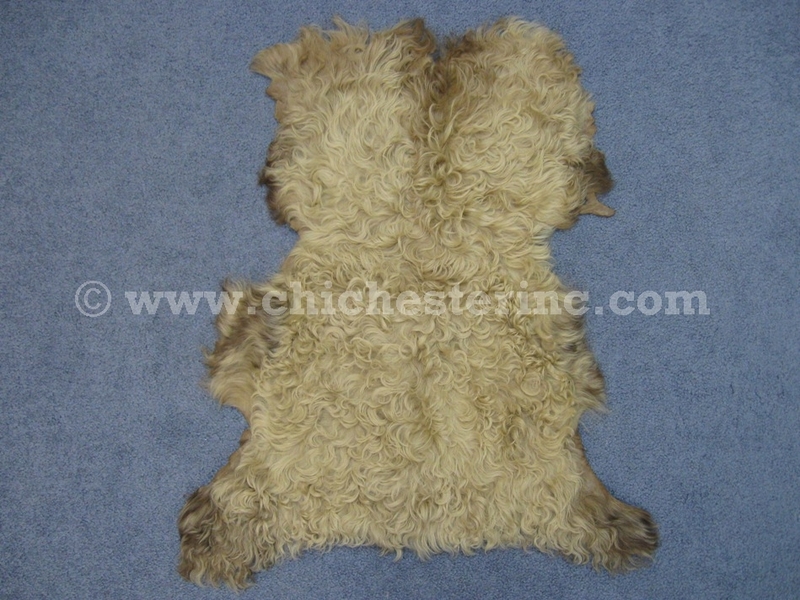 We have a limited supply of curly lambskins available for sale. They come in a variety of colors and sizes. The hair measures 1" to 4" long. The shorter hair have a shorter curl while the longer hair have a longer curl to them. One random lambskin measured 28" long, 11" wide across the middle, and weighed 0.78 lbs. Our Gxx codes denote individual pieces. If you would like to order a specific curly lambskin, please go to our Gallery to pick the exact one shown. There are no USFWS export restrictions for these lambskins.